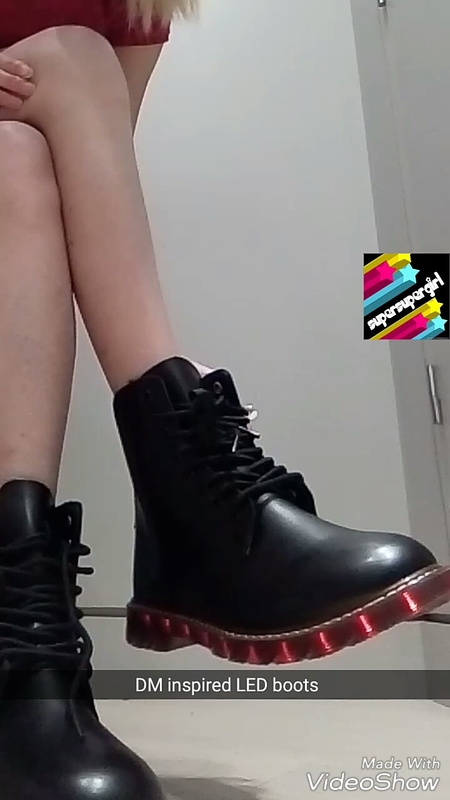 I love Dr Martens and anything flashes so when I saw these boots I had to get them. There is a button where the pocket is located to activate the lights and you also charge them there as well. 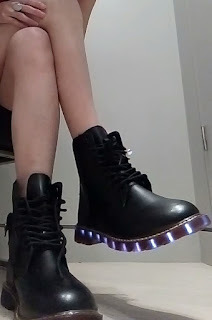 Aesthetically, I think the pocket would look better on the outer side of the shoe rather on the inside as when you walk, they sometimes come into contact with each other causing the lights to turn on when you don't want them to!! 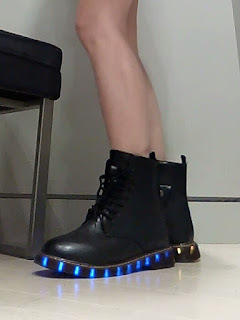 In terms of lights and how comfortable they were, I was quite satisfied but not satisfied with the seller because they gave me the wrong size and required me to pay for shipping costs to change it when it was their fault.